DUBAI, UAE: The rise of IoT (Internet of Things), and its convergence with video analytics is set to have a profound impact on the Middle East video surveillance industry, as the regional security sector’s traditional boundaries continue to blur. Global security solutions providers at the upcoming Intersec 2017 trade show in Dubai said the retail sector is one of many industry verticals where video surveillance can offer bottom-line benefits far beyond loss prevention and control. Swedish company Axis Communications is one of more than 1,200 exhibitors at Intersec, and will offer up a range of intelligent solutions based on IP (Internet Protocol) video analytics that have multiple applications across a range of sectors, including retail. Johan Åkesson, Director of Business Development for Retail at Axis Communications, said retailers who think of video surveillance as a loss prevention tool are missing a huge opportunity to leverage some truly powerful in-store intelligence. “When retailers think of video surveillance, it’s usually in the context of loss prevention and security, but there’s a whole other arena where surveillance video provides enormous value: gathering real-time in-store intelligence to help improve margins,” said Åkesson. Axis Communications will display its entire range of intelligent security solutions at Intersec 2017, which runs from 22-24 January at the Dubai International Convention and Exhibition Centre. 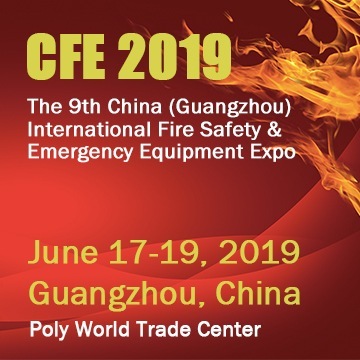 It’s among the world’s top ten security solutions providers that will all be out in force at the world’s largest trade fair for security, safety, and fire protection. The 19th edition of the three-day event arrives as the global appetite for video analytics is expected to grow annually by 20 per cent, from US$1.69 billion in 2016 to US$4.23 billion by 2021, according to news portal Security.World. Dubai-based AgilityGrid is another Intersec 2017 exhibitor that will showcase its video surveillance hardware and software solutions, having already worked on a major project in a Qatar mall where it installed thousands of cameras and over 10 PB (petabyte) of storage. Costa Boukouvalas, the CEO of Agility Grid, said there’s strong demand in the retail sector for large-scale surveillance solutions, with Big Data playing a key role: “The trend for Big Data analytics and understanding more about customers and people’s behaviour in general is going to increasingly be applied to Video Analytics – from use of facial recognition and biometric software to recognising VIP customers when they enter a retail outlet,” said Boukouvalas. Elsewhere, Korean-based surveillance solutions provider IDIS will return to Intersec 2017, and is looking to emulate the successful partnership it established with Sedar – a home furnishing manufacturer and retailer – at one of the show’s previous editions. Harry Kwon, General Manager of IDIS Middle East & North Africa, explained: “IDIS first exhibited at the Intersec in 2014, and at the time Sedar needed a state-of-the-art security surveillance system that offered exceptional performance without placing a heavy burden on company resources. Other leading Intersec exhibitors showcasing IP-based video surveillance solutions for retail and other enterprise sectors include Hikvision, Honeywell, Bosch Security Systems, Dahua, Tyco, Flir Systems, iOmniscient, NIT, Nedaa, March Networks, and LENSEC. Ahmed Pauwels, CEO of Messe Frankfurt Middle East, the organiser of Intersec, said: “IP-based surveillance systems have surpassed the boundary between passive monitoring of premises and establishments into interactive and interpretative systems that can analyse and provide real-time intelligence to remote control rooms for further action. 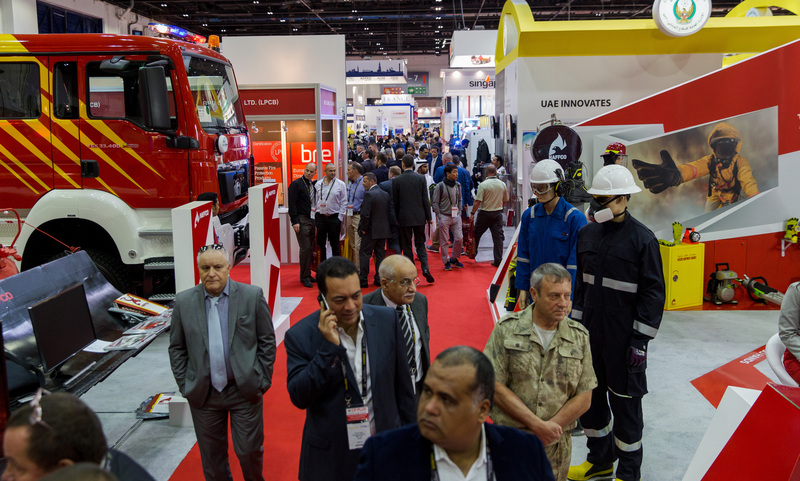 Intersec 2017 will feature more than 1,200 exhibitors from 52 countries, while over 31,000 visitors from 128 countries are expected to attend as they seek the latest solutions across seven show sections of Commercial Security, Fire & Rescue, Safety & Health, Homeland Security & Policing, Perimeter & Physical Security, Information Security, and Smart Home & Building Automation. The annual showcase is held under the patronage of His Highness Sheikh Mansoor bin Mohammed bin Rashid Al Maktoum, and officially supported by Dubai Police, the Dubai Civil Defence, and Dubai Police Academy. More information is available at: www.intersecexpo.com.